Regent Seven Seas Cruises announced two guest experience enhancements that reflect guest recommendations and emerging luxury cruise trends: the opening of its pool grills to serve relaxed, gourmet dinner al fresco fleetwide, and the ability for guests to use shipboard credits toward ship-based purchases prior to departure. To meet luxury travelers’ growing interest in exploring Cuba beyond Havana, last month Regent Seven Seas Cruises® introduced a March 12-22, 2019 voyage to the Caribbean country that represents one of the most comprehensive Cuban itineraries in luxury cruising. Regent Seven Seas Cruises today (Aug.13) revealed its 2020-2021 itineraries, which showcase 167 sailings including maiden calls to 11 new ports across Europe, Asia, and the Americas, four newly-released Grand Voyages, and new pre-and post-cruise land tours and accommodations for luxury ocean travelers. 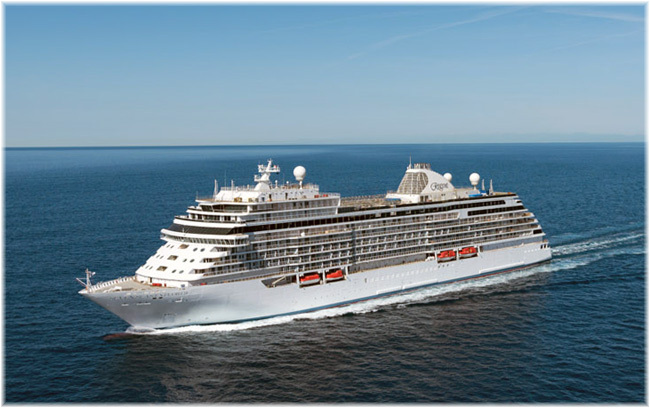 Regent Seven Seas Cruises announces its 2021 World Cruise (the voyage departs on Jan. 5, 2021) that will provide guests with access to 56 United Nations Educational, Scientific and Cultural Organization (UNESCO)-designated world heritage sites across the globe. Seven Seas Splendor, the highly anticipated, ultra-luxurious ship joining Regent Seven Seas Cruises’ fleet in February 2020, will voyage across Europe during her inaugural 15 destination-rich summer sailings, the company announced today. The keel laying ceremony was held today at the Ancona shipyard for the “Seven Seas Splendor”, the second super luxury cruise ship that Fincantieri is building for Regent Seven Seas Cruises, brand of the Norwegian Cruise Line Holdings Ltd. The delivery is scheduled for 2020. Regent Seven Seas Cruises today (Mar. 28) unveiled details for Seven Seas Splendor’s awe-inspiring public spaces and ten sophisticated suite categories for debut in 2020. Regent Seven Seas Cruises’ President and Chief Executive Officer Jason Montague, Norwegian Cruise Line Holdings’ Executive Vice President of Vessel Operations Robin Lindsay, Regent’s Senior Vice President of Hotel Operations Franco Semeraro and Fincantieri’s Shipyard Director Giovanni Stecconi today pressed the button to ignite the cutting torch at Fincantieri Ancona to shape the first plate of steel for Seven Seas Splendor.